This website is for the use of New Zealand Liver Transplant recipients, to share their stories and experiences, and foster an awareness within the community at large of the life-saving benefits of receiving an organ. Organ donation is an amazing gift of life. The recipients of organs never lose sight of this, with the donor and donor family constantly in our thoughts. We are truly grateful. This website was originally designed and produced by Bethli Wainwright, Liver Transplant Recipient #62, who passed away on December the 25th 2010, with the assistance of our official photographer, scanner and HTML checker, John Russell, Liver Transplant Recipient #27, who passed away on 7th June 2002. Originally sponsored in 2001 by Janssen-Cilag and subsequently by recipients and caregivers/families of recipients. We would be very happy to hear from any potential sponsors of the site - use the e-mail link on the home page to contact us. (1) To provide a one-stop-shop site for pre- and post- Liver Transplant recipients and their caregivers in New Zealand, with information, contacts, shared experiences and useful links. (2) To raise awareness of organ donation in New Zealand. While it is being updated feel free to join the New Zealand Liver Transplant Facebook Support group, where you can meet and chat with Transplant Recipients and their Caregivers. The group is closed, so you will need to apply to join. The administrator will contact you to confirm your request. This website is not the official website for Liver Transplantation Unit in New Zealand. 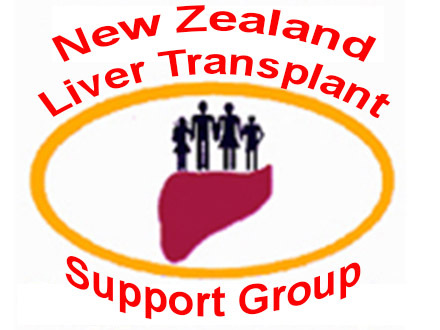 For official information on the New Zealand Liver Transplant process we refer you to New Zealand Liver Transplant Unit. This website was launched on the 19th April 2001.